Harley-Davidson today announced its net income for Q2 2018 at $242.3 million, a drop of 6.4% compared to this time last year. The news comes on the heels of the European Union’s announcement earlier this year that it would be imposing tariffs on certain U.S. products – Harley-Davidsons included – in retaliation for President Trump’s tariffs on imported steel and aluminum. Harley-Davidson also reports revenue at $1.71 billion, down 2.9%. Globally, worldwide retail sales are down 3.6% compared to last year, though the sequential sales rate is improved compared to Q1 2018. In the U.S., Harley-Davidson reports new motorcycle retail sales are down, which reflects an ongoing trend throughout the industry. 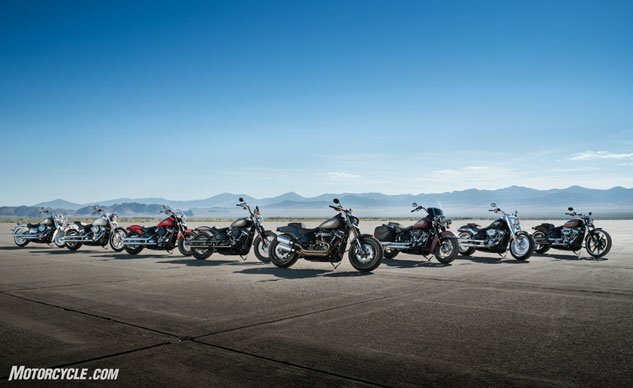 Interestingly, The Motor Company is seeing an uptick in sales across western Europe, specifically behind the Softail line. Sales are also slightly up in countries like Brazil and Mexico. Meanwhile, apart from the slump in sales in the U.S., sales remain soft and/or stagnant across Japan, Australia, and Canada. Harley is crediting the Softail line for helping with European sales. Looking long term, Harley-Davidson’s objective is to have international sales make up half of its annual volume by 2027. To do this, it’s looking to expand its dealer network, convert riders currently on other brands, raise awareness through apparel, and leverage the lower pricing afforded to them via its Thailand operations. While Harley-Davidson’s total revenue is down, the company isn’t feeling quite the same hit it would have a year ago thanks to its tax rate also decreasing (24.1% vs. 34.4% YTD) as a result of 2017 tax legislation under President Trump. Lastly, Harley-Davidson is planning an announcement on July 30, 2018 in which it will reveal its accelerated strategy to build the next generation of Harley-Davidson riders. This three-pronged approach includes broader access to the brand through a multi-channel retail experience, stronger dealers to welcome new customers to the Harley-Davidson family, and of course new products to keep current riders engaged and inspire new riders to join the brand. This keeps with the company’s objectives of building 2 million new riders in the U.S. and launching 100 new “high impact” motorcycles by 2027. 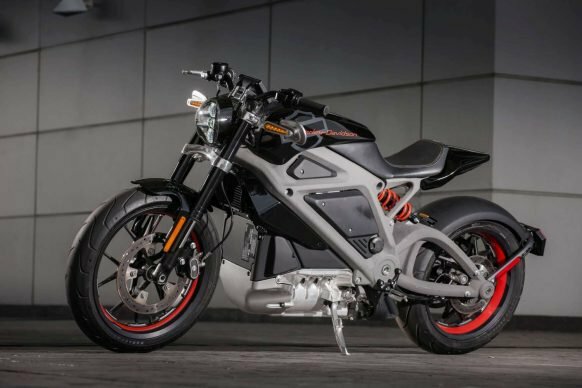 Harley’s vision to introduce 100 new “high impact” models by 2027 is ambitious, but models like the all-electric Livewire could lead the way.